Suzy kindly asked me if I would like to write a piece about the way cycling has affected my writing. To be honest, I hadn't really thought about it before. 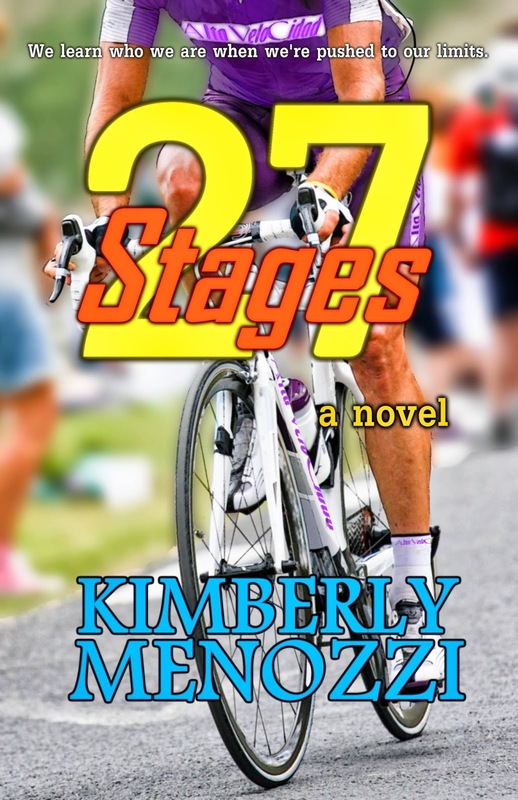 I hadn't recognized any connections between my love for road cycling and my love for writing. But, as it happens, they really are there. Perhaps the biggest parallel I see between cycling and writing is the importance of routine and the need for that routine's consistency. For example: for a number of reasons, I try to ride my bike at the same time every day, or within a particular window of time. I find if I stray too far from that window, my energy and motivation crash and burn – spectacularly so. Frequently there's no hope at all of recovering that momentum and I have to scrap my plan altogether. I'll do thirty minutes on my stationary bike instead, work up a sweat and call it a day. Up until this summer, writing was much the same. I wrote best in the late afternoon/early evening and any attempt to break that routine resulted in both a writing-free day and my inevitable feelings of disappointment at not reaching my goal. Sometimes I'd just brainstorm instead, or work on cover ideas/images in order to feel like I'd done something creative after all. This summer the pattern was broken because there simply wasn't time or a set schedule to follow, but I still tried to write a little each day in the afternoon (when possible) and ride the stationary bike whenever I could. For me, both writing and riding (funny how much they even sound alike, isn't it?) provide a feeling of accomplishment or achievement. When I miss out on the routine, or whenever it gets jumbled up beyond recognition, I feel it in my bones. I literally get twitchy and agitated, to the point I might get snippy with whoever happens to be around. I hate that feeling, and I hate being that way with those I love. I'm extremely fortunate – and I never forget this – that I have loved ones who support me in both pursuits. They recognize my need to write, and my need to ride. They see the positive changes in my physical appearance, and in my personal outlook on life, and they want more of these good things for me. Every time I sit down and work on a story for hours at a time, and I get lost in a world inside my head, I feel better when I finally emerge from that trance-like state, having gotten some of that world down on the page. When I ride, I feel free, and I'm lost in that moment, focused on what I'm doing and how to do it better. In both cases, it really is a sort of endorphin rush, and I find I need one in order to do better with the other. In the end, I have to work hard at both things. Writing and cycling both require dedication and self-discipline in order to reach the goals I set for myself, and the rewards when I reach those goals are sometimes ephemeral, indeed. But that just makes me work harder for the next goal, and the next. So, I started over again. And I lost those, too. After a trip to England in 2002, I began work on A Marginal Life (Well-Lived), inspired by the music of Jarvis Cocker and Pulp. The novel was completed in 2003, and I plan major rewrites of the manuscript with hopes of publication sometime in the future. Also in 2003, I met and fell in love with an Italian accountant named Alessandro. I married him in 2004. This necessitated my arrival in Italy and I have lived here ever since. Not long after I started working for language schools and writing blog entries for my family in the US to read, new story ideas began to develop. Finally, in 2007, I began work on a new project, inspired by my love/hate relationship with my new home. The novel Ask Me if I'm Happy was completed in 2009. Ask Me if I'm Happy was first released November 15th, 2010 in the UK, and was re-released in the US on May 31st, 2011. Also in May of 2011, I published the novella "Alternate Rialto", a prequel to Ask Me if I'm Happy. 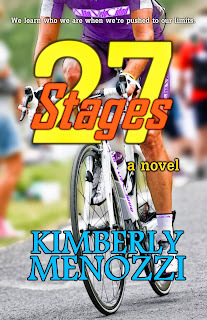 I released my latest novel, 27 Stages, in April of 2013. On June 8th, 2013, 27 Stages was included in Podium Cafe's 101 on Tour 100 Books. We learn who we are when we're pushed to our limits. Federico Renard is a rising champion in the world of road cycling. Lately, his whole world is upside down: his fiancée has ceased all communication, his enigmatic former team captain has returned to the sport in a whirlwind of media attention, and now Federico no longer leads the team. All before the Tour d'Europa – the longest, hardest, and most rewarding cycling race in the world – has even gotten underway. 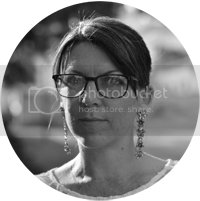 Abigail White is shooting the Tour, taking a mid-life stab at the photojournalism career she'd dreamed of before marrying. Unfortunately her husband, Charles, is making the project anything but enjoyable. Worse yet, Abigail suspects the distance between them comes from his secret long-distance love affair with an associate back home in England. When Federico comes to Abigail's assistance after a crash at a stage finish, the fleeting encounter is innocent enough. As time passes and chance keeps bringing them together, they find themselves struggling to resist the temptations the other provides. The cost could be too great – his place on the team and her marriage are both at risk – but it's difficult to hold back for the sake of coming out ahead. Thanks for having me as your guest, Suzy. I enjoyed sharing my thoughts with you and your audience - I hope they enjoyed it, too.